53 Strategic offers a complete line of firearms training, tactics, and certification for your agency or your individual desire to become an improved shooter. 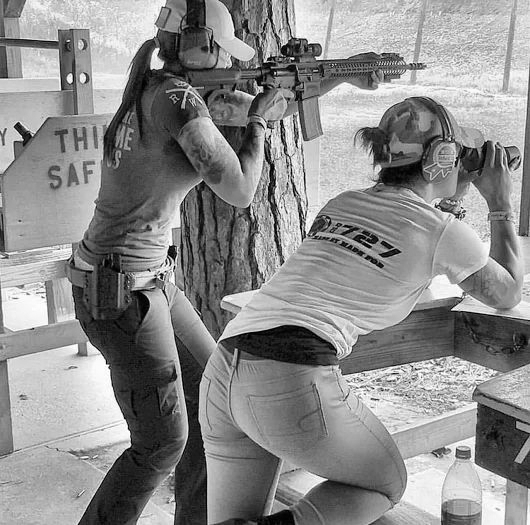 Our professional firearm instructors have extensive firearms experience, and have been taught by some of the most respected firearms experts across the nation. The firearms instructors at 53 Strategic all carry advanced law enforcement instructor and program developer certifications. We fundamentally believe in order to be the best you have to be developed by the best. We train our shooters to become professionals ready for all types of enviroments. Whether your training for the battlefield, the streets, or in your home; one thing is for certain, we will develop you into a improved shooter. *Please note, The Gun Control Act (GCA), codified at 18 U.S.C. § 922(g), makes it unlawful for certain categories of persons to ship, transport, receive, or possess firearms or ammunition. To attend any course, a student must not be classified as a prohibited person. The courses taught in our DFT are for the intermediate and advanced shooter. The courses here are provided to the non-armed professionals. From our basic firearms course to our advanced and defensive handgun courses, we offer a class for just about anyone. Please check out all we have to offer by clicking the link below.